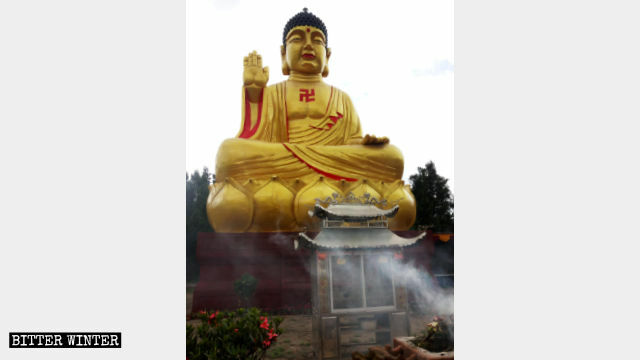 In March 2018, a bronze statue of Shakyamuni, the historical Buddha, located in the Xiantang Mountain Scenic Area of Xiangyuan county, under the jurisdiction of Changzhi city in north China’s Shanxi Province, was demolished. 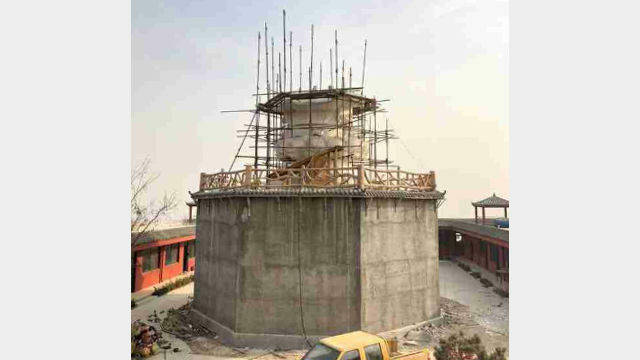 The Bronze statue of Shakyamuni in Xiantang Mountain Scenic Area was demolished, leaving only the base. 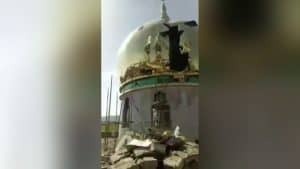 Since January 2018, local villagers said, authorities have threatened the person in charge of the scenic area, saying he’d be arrested if the Buddha statue wasn’t demolished. It was, in the end, but at a cost of more than two million RMB (about $300,000) to do so, including workers’ wages. The demolition work lasted for more than two months. 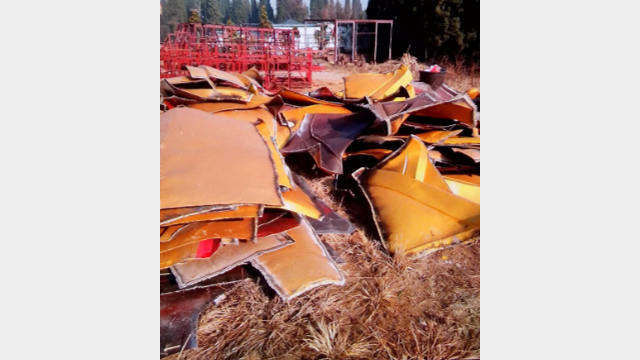 Fragments remaining after the bronze sitting Buddha statue in Xiantang Mountain Scenic Area was demolished. 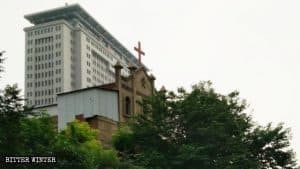 During this time, Xiantang Mountain was cordoned off, resulting in the scenic area suffering huge economic losses; as a result, other projects in the area came to a halt. One staff member said he hadn’t been paid since last September. 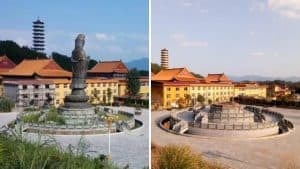 In Anning (a county-level city under the jurisdiction of China’s southwestern Yunnan Province’s capital, Kunming city), a Buddha statue of Shakyamuni, which measured 18 meters in height, was also forcibly demolished. 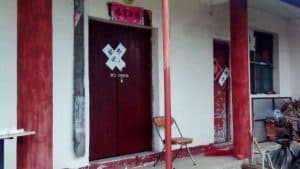 In September 2018, more than 70 personnel from Anning city’s Ethnic and Religious Affairs Bureau, United Front Work Department, armed police force and other departments arrived at Sanzhuxiang Buddhist Temple. The police put up barricade tape at the intersections to the temple and prohibited anyone from entering. The original appearance of the bronze sitting statue of Shakyamuni in Anning. A recognition plaque for donors who helped build the Buddha statue. It is understood that more than 70 tons of pure copper was used to build the large Shakyamuni statue. 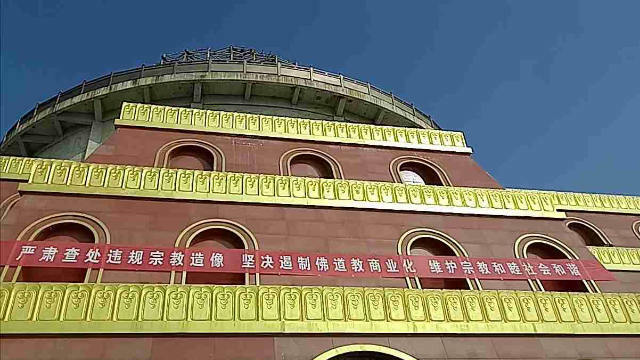 The cost of construction was approximately five million RMB (about $743,000). Fragments of one demolished Buddha statue in Anning. 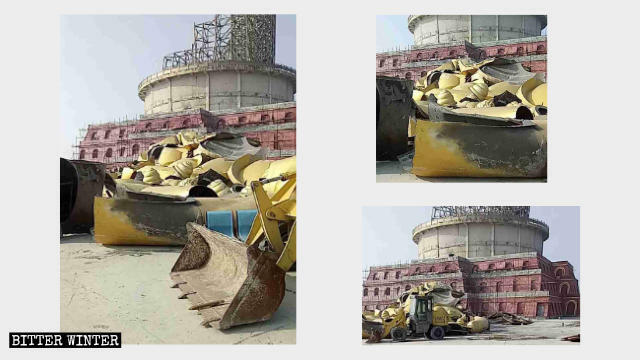 In January 2019, the big Buddha statue and 11 small Buddha statues surrounding it were demolished and removed, one after another. The original appearance of the Guanyin statue in the Niuwangzhai scenic area in Xingtang county. 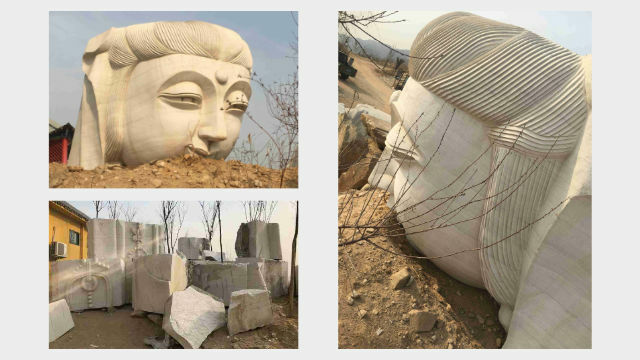 A Guanyin statue, measuring 37 meters in height, has been forcibly demolished in the Niuwangzhai scenic area in Xingtang county under the administration of Hebei Province’s capital, Shijiazhuang city. The Guanyin statue is being destroyed. 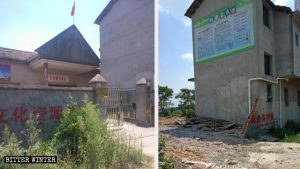 In September 2018, the provincial Party secretary personally inspected the demolition work and said that if it wasn’t completely taken down, the Party secretary of Xingtang county and the county mayor would both be dismissed from office. So, the local government ordered the person in charge of the scenic area to demolish the statue himself – or else have it be done by the government with explosives. 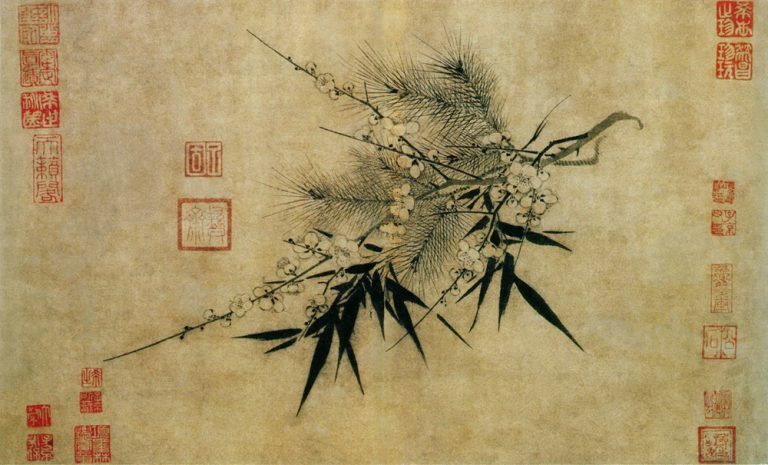 It cost about 100,000 RMB (around $15,000) to do so. The Guanyin statue was demolished into pieces. Bitter Winter has repeatedly reported about the demolished large religious statues under the pretext that privately built outdoor religious statues are prohibited. Even Buddha statues inside temples haven’t been spared. 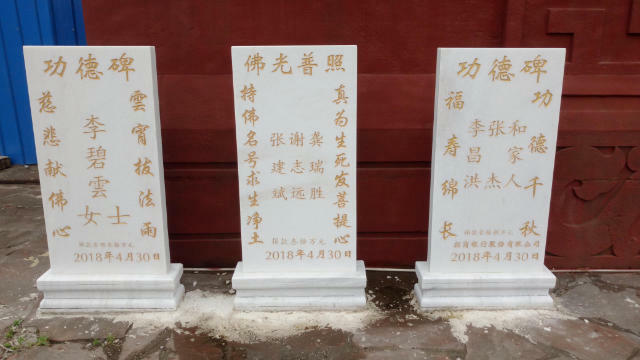 The CCP’s campaign to “exterminate Buddha” is reminiscent of the barbaric acts during the Cultural Revolution, in which the Red Guards stormed into Buddhist temples and smashed and destroyed all the Buddha statues. 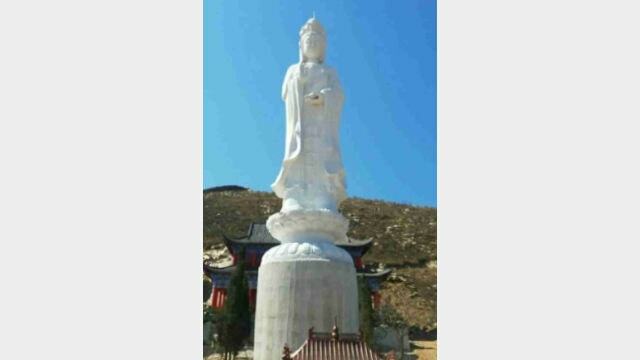 Last month, authorities in northern China’s Hebei Province used explosives to detonate and destroy the world’s tallest cliff-carved standing Guanyin statue.